Many people think that the devil is some fictional character. They laugh about him, and at people who believe that he exists. Most of you know that I grew up in a secular Jewish home. When I was born again in 1983, my mother and I had many discussions about the Bible. She would look at me as if I had lost my mind. The thing that bothered her more than my belief in Jesus as Messiah, was my belief that the devil was real. She would say to me “Geri, how can you believe in this fictional character?” I would tell her that Jesus talked about the evil one and about hell; so I knew they were both real. I told her that Jesus only spoke truth. She would just shake her head and walk away. 1 John 3:8 – He that committeth sin is of the devil; for the devil sinneth from the beginning. For this purpose the Son of God was manifested, that he might destroy the works of the devil. 2 Corinthians 11:14 – And no marvel; for Satan himself is transformed into an angel of light. John 10:10 – The thief cometh not, but for to steal, and to kill, and to destroy: I am come that they might have life, and that they might have [it] more abundantly. Romans 16:20 – And the God of peace shall bruise Satan under your feet shortly. The grace of our Lord Jesus Christ [be] with you. Amen. 2 Corinthians 4:4 – In whom the god of this world hath blinded the minds of them which believe not, lest the light of the glorious gospel of Christ, who is the image of God, should shine unto them. And the great dragon was cast out, that old serpent, called the Devil, and Satan, which deceiveth the whole world: he was cast out into the earth, and his angels were cast out with him. 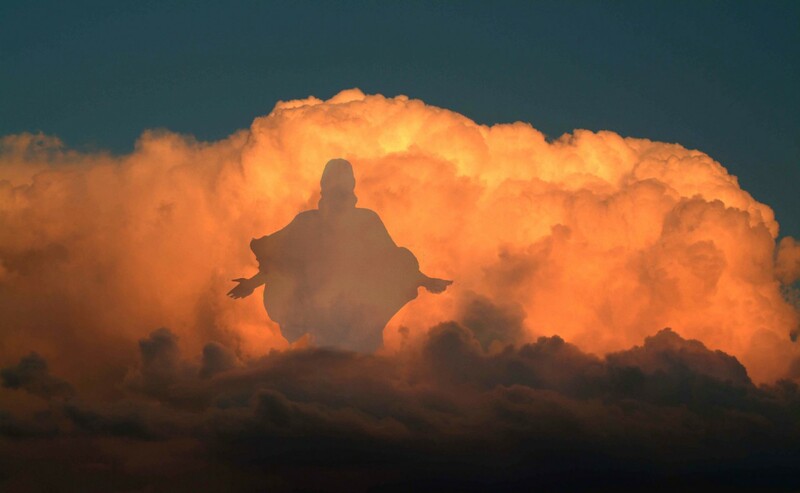 And I heard a loud voice saying in heaven, Now is come salvation, and strength, and the kingdom of our God, and the power of his Christ: for the accuser of our brethren is cast down, which accused them before our God day and night. And they overcame him by the blood of the Lamb, and by the word of their testimony; and they loved not their lives unto the death.Therefore rejoice, ye heavens, and ye that dwell in them. Woe to the inhabiters of the earth and of the sea! for the devil is come down unto you, having great wrath, because he knoweth that he hath but a short time. Ephesians 6:12 – For we wrestle not against flesh and blood, but against principalities, against powers, against the rulers of the darkness of this world, against spiritual wickedness in high [places]. Matthew 16:23 – But he turned, and said unto Peter, Get thee behind me, Satan: thou art an offence unto me: for thou savourest not the things that be of God, but those that be of men. When Lucifer was cast from heaven down to earth, his name was changed to Satan. He is the god of this world. When Jesus went to the Cross and died for our sins, and then was resurrected – he broke the power of Satan over all who would place their trust in Him. If you do not belong to Jesus, then you belong to the devil. You are either saved or lost. Do you see that God gave His only Son for you and for me and for all people? His love is clearly shown by sending Jesus to earth and then to that horrid Cross, where He died an unspeakable death for us! He made a way for you to be saved from going to hell for eternity! Jesus rose from the dead and His death and Resurrection paid the debt for your sin and my sin. Mark 9:43-48 – And if thy hand offend thee, cut it off: it is better for thee to enter into life maimed, than having two hands to go into hell, into the fire that never shall be quenched: Where their worm dieth not, and the fire is not quenched. And if thy foot offend thee, cut it off: it is better for thee to enter halt into life, than having two feet to be cast into hell, into the fire that never shall be quenched:Where their worm dieth not, and the fire is not quenched. Matthew 13:50 – And shall cast them into the furnace of fire: there shall be wailing and gnashing of teeth. Revelation 14:11 – And the smoke of their torment ascendeth up for ever and ever: and they have no rest day nor night, who worship the beast and his image, and whosoever receiveth the mark of his name. Hebrews 10:26-31 – For if we sin wilfully after that we have received the knowledge of the truth, there remaineth no more sacrifice for sins, But a certain fearful looking for of judgment and fiery indignation, which shall devour the adversaries. He that despised Moses’ law died without mercy under two or three witnesses: Of how much sorer punishment, suppose ye, shall he be thought worthy, who hath trodden under foot the Son of God, and hath counted the blood of the covenant, wherewith he was sanctified, an unholy thing, and hath done despite unto the Spirit of grace? For we know him that hath said, Vengeance belongeth unto me, I will recompense, saith the Lord. And again, The Lord shall judge his people. It is a fearful thing to fall into the hands of the living God. I believe that every word in the Bible is God’s own words. Yes, they were penned by men, but these men were under the inspiration of God’s Holy Spirit. They are all His words. If you have never repented of your sinful ways, and trusted the Lord Jesus Christ as your Savior, then there is only one place your soul will go when you die. You will go to hell. But the good news is that you can know the Lord and be saved today! But God knows all things, and He knows your heart. He knows if you are sincere in wanting to come into the family of God. I pray that the Lord has drawn you to Him today, and that you have felt the weight of your sin. I pray that your eyes have been opened to God’s Truth and that you have been born again. The Bible says that the angels in heaven rejoice over you! A question, if I may. If Hell indeed was created to incinerate and torture the devil and his angels along with their human cohorts, then why was Jesus in hell when he died?